Coming from a person who loves all things coffee, and all things chocolate, this recipe was a no-brainer. Ladies and gentlemen…upon trying this flavor, I made the noise! The flavor of this mocha ice cream was so dead on, and so exactly the same as the Ben and Jerry’s version (it is, after all, their recipe) that I was in ice cream heaven. Let me tell you a bit about how this recipe came to be. 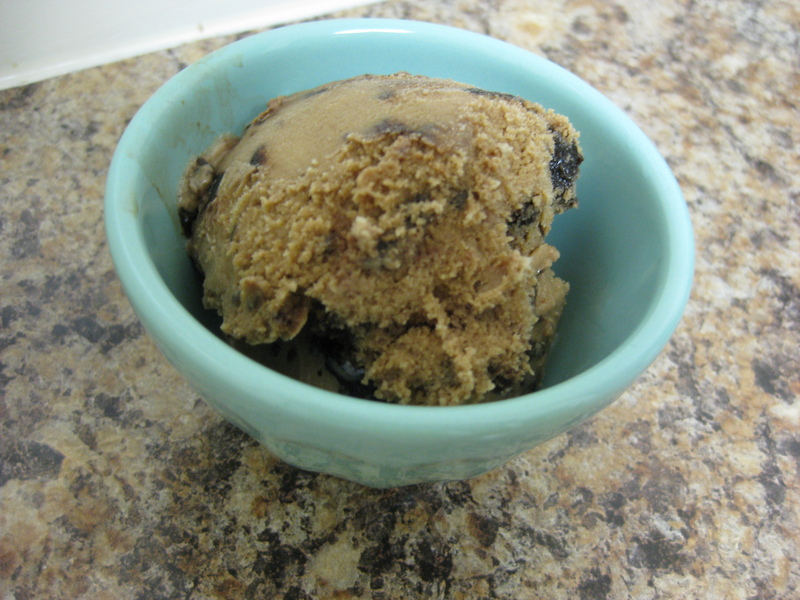 As loyal readers you know that I recently made a Tiramisu ice cream, for which I made a delicious Mocha Fudge Ripple. After devouring the Tiramisu ice cream, there was still leftover mocha fudge ripple, which I knew would be a great addition to the mocha ice cream. Additionally, last week I was lucky enough to celebrate at The Best Friend’s bridal shower, which was a truly delicious brunch celebrating the upcoming marriage of a very special friend. At this said brunch, one of the hostesses served chocolate chip brownies. Again, being a sucker for all things chocolate I had to have a few brownies (three to be exact!) In my defense, the brownies were more like brownie bites, and therefore three brownie bites maybe totaled the size of one actual brownie. (At least let me tell myself that to feel better. Thanks.) The first brownie was a mere taste. The second brownie I ate was to confirm that the brownie was really as good and chocolatey the second time around (Hey, it could have been a fluke!). And the third brownie, oh the third brownie, that was to confirm the texture was just as perfect as I remembered (it was!) and to make certain that it would, in fact, melt perfectly into an ice cream. Honestly, why mess with greatness? Betty Crocker clearly knows what she’s doing and I don’t want to be the one to stop her! Being that these brownies were so chocolately and fudgey I knew that they would be a perfect addition to any ice cream. Before leaving the shower (which happened to have been at my parent’s house) I made myself a wonderful doggy bag, complete with 8 brownies, which I knew would be promptly added to my next ice cream. I returned home from the shower rather late at night, but knew that my weekend would not have been complete without a mocha fudge brownie ice cream. And thus explains the birth of this delicious mocha fudge brownie ice cream. If you haven’t already made the mocha ripple, I suggest you do this first before making the ice cream as it needs to cool completely. If you have it left over from another recipe like I did, you are one step closer to heaven. 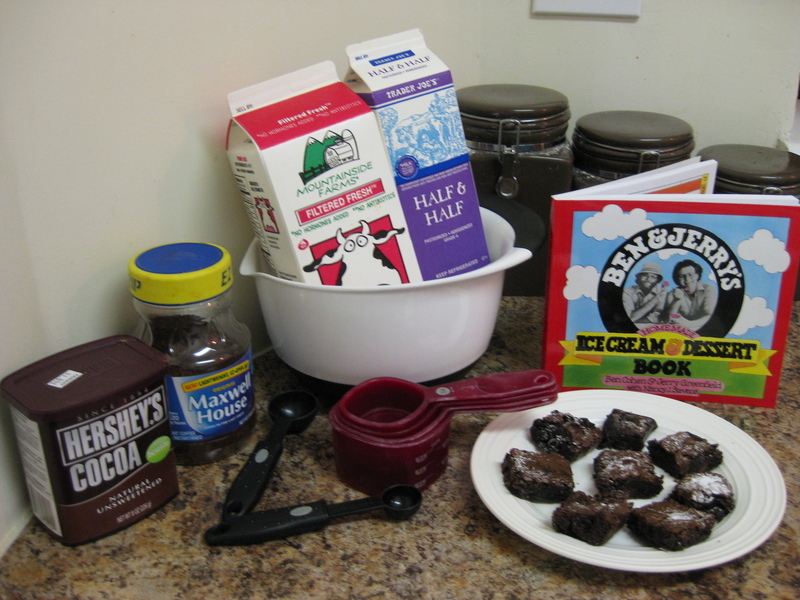 Make the brownies, or if you’re like me, mooch them off of someone else to save yourself the time! Again, make sure they are fully cooled before adding to the ice cream. 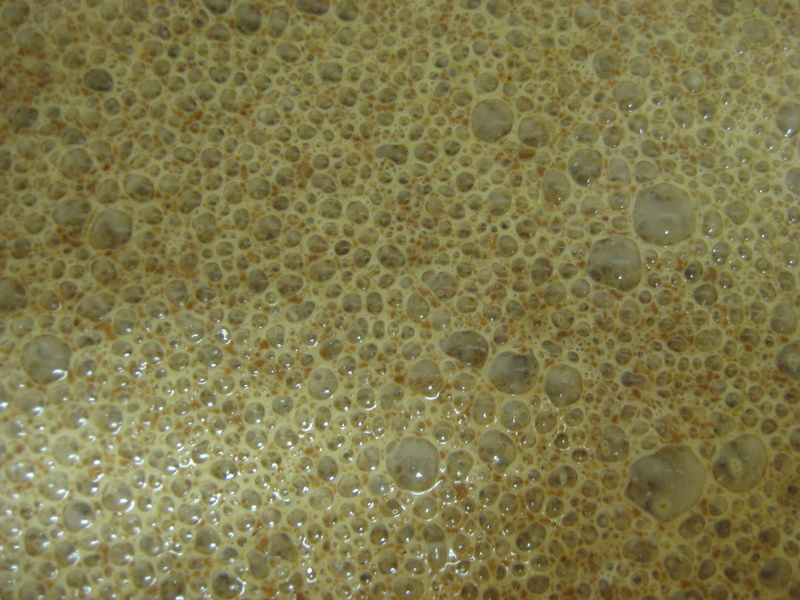 To make the mocha ice cream base mix the half-and-half, sugar, cocoa, and coffee in a mixing bowl until blended. While the ice cream is churning chop the brownies into very small bite-sized pieces. About three minutes before the ice cream is done churning add in the tiny bites of brownies so that they mix into the ice cream. Drizzle a teaspoon of the mocha fudge ripple on the bottom of the storage container. Scoop a few scoops of ice cream on top. Repeat this process, layering the mocha brownie ice cream with the mocha fudge ripple. 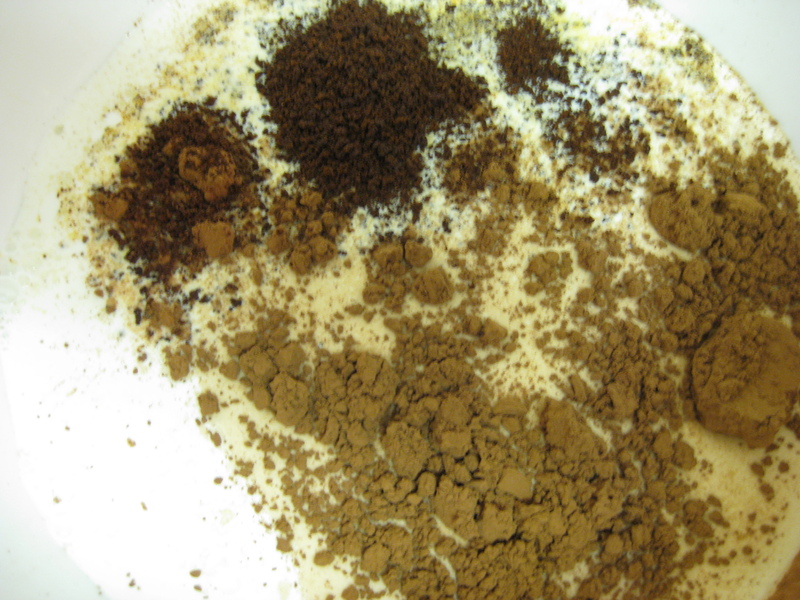 Whatever you do, don’t mix the two as it will create a rather muddy mixture. Freeze immediately for approximately 2 hours before enjoying it! The Verdict: Yum-a-roony! I thought that the Tiramisu was the best flavor but this is a very close second. The Husband loved it. My father couldn’t get enough of it, and my coworkers remarked that it was their favorite flavor yet. (In all fairness, they didn’t try the Tiramisu). Bottom line – this one is a keeper! I don’t want to remake flavors on this blog, but I could easily be convinced to remake this one. Every bite had a little brownie chunk in it, it was consistently creamy (even five days later, which is not always the case for home-made ice cream), and the mocha fudge ripple really complemented the mocha ice cream. Happy licking to you all. I absolutely love taking sips of coffee that will complete my day. By this brownie recipe, I know for sure this taste great and I love brownie as well.. Yummy!